Roja45: Quotations Pro [FREE]. Free version of the Roja45: Quotations Pro module giving your customer the ability to request a quote for your selected products in your product catalog. Fixed errors with products without combinations. 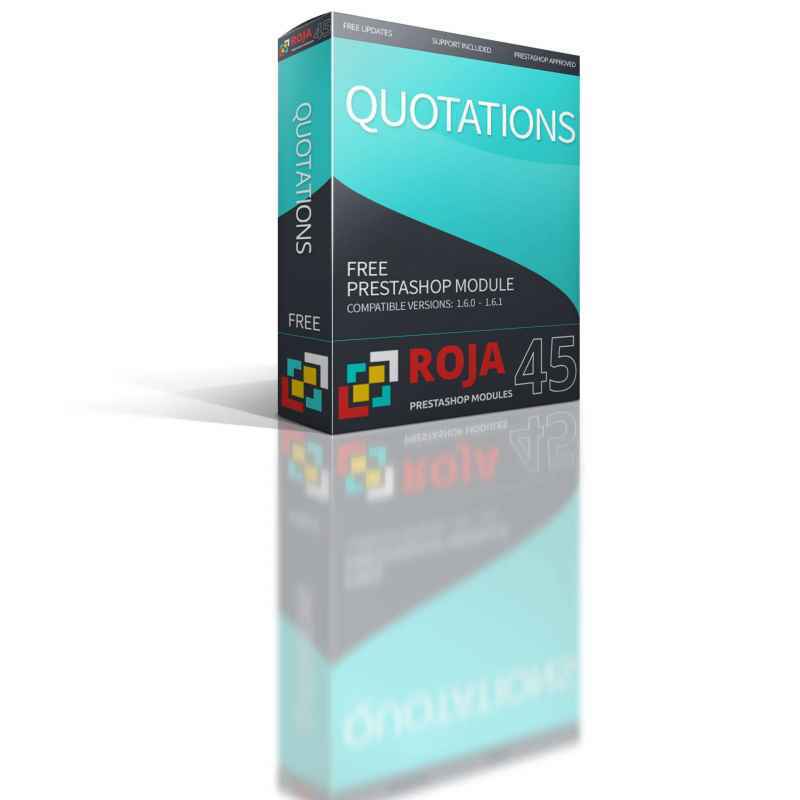 You can upgrade to the Roja45: Quotations Pro module directly from the free module, this means upgrading the pro version is seamless and your settings, form design, and quotation requests are maintained. A form designer lets you display fields to the customer to capture all the required contact information, and additional details necessary to create the quote. Customer's can select the product fir which they would like to receive a quote, including the combination, color, size, and quantity. This free version provides a form designer with text fields, and text areas available. Fields can be marked as required and contain basic validation. If you choose to upgrade to the Plus version your form design and settings will be maintained. Roja45: Quotations Pro: This premium module enables multi-product quotes directly from a dedicated quote cart, a fully featured quotation request manager in the back office incorporates the quotation requests into the customer service system within Prestashop, a fully configurable form designer, and optionally uses Google reCaptcha to reduce spam requests. Receive your quotes by email. Works with cart enabled stores. 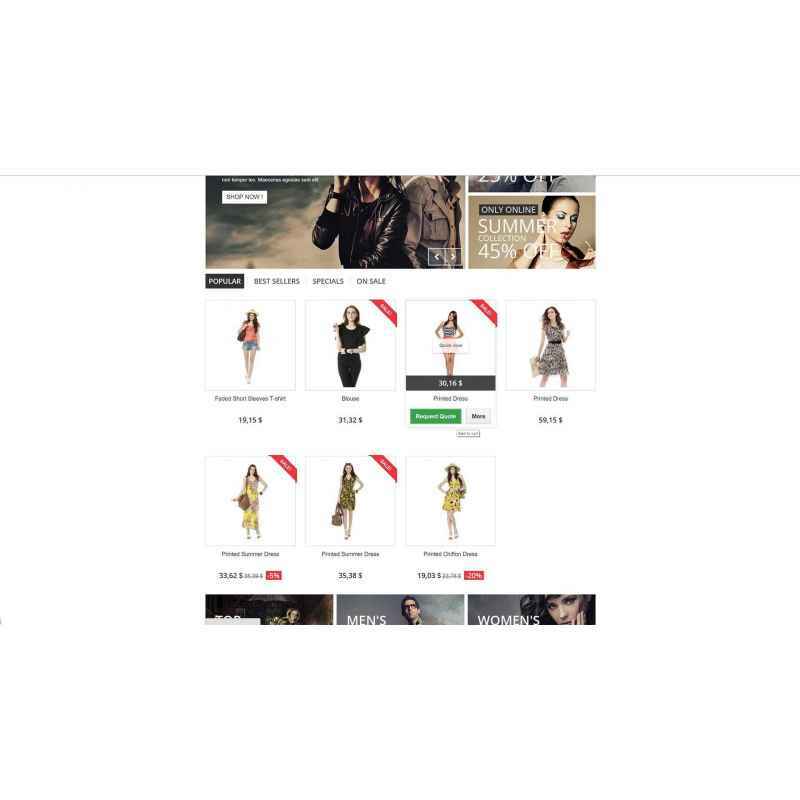 Works with catalog only stores. Consistent across desktop and mobile platforms. Orders can be raised using the standard Prestashop process. Give your customers a way to talk to you directly regarding bulk ordering, discounts, or personalized services. Increase your chance of sale by ensuring you and your client agree on the service and/or price prior to ordering. Was this module useful, have some ideas how we can improve it, need to know something specific or need a developer to modify it for you? Leave a review or get in touch. NB. Free modules are not supported via our online ticket system. If you would like support for this module you can either ask a question in the forum, or purchase our Premium Support package.